Surprising Her for the Holidays? How about Vintage Diamond Earrings? The holidays are here, and that means it’s time for decorations, turkey dinners, and gift giving. You’ve likely got a long list of family and friends to buy something for, and no doubt the most difficult choice you’ll face is what you should get for the special woman in your life. What, you wonder, is the one thing that she’ll definitely love? Well, you know the saying: diamond’s are a girl’s best friend. 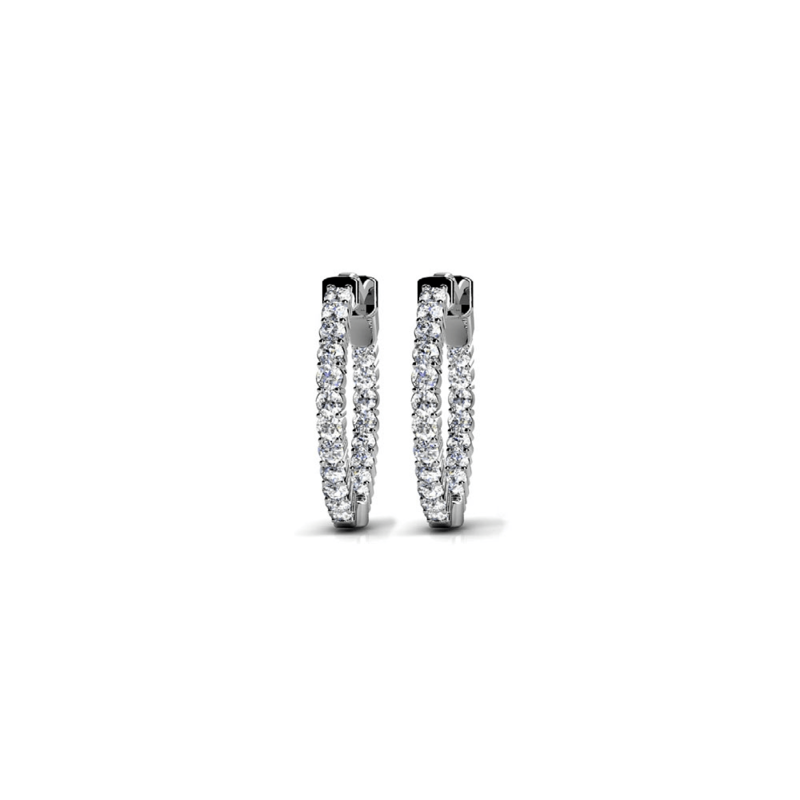 Why not surprise her with a beautiful pair of diamond earrings? Diamond jewelry is a wonderful gift because it is beautiful, timeless, and a staple in any woman’s wardrobe. She can wear diamonds day or night, and these gorgeous stones will always add a little glamor to what she wears. Don’t know what style of earrings she’ll like? Not to worry: we have many types of studs that she is bound to love. 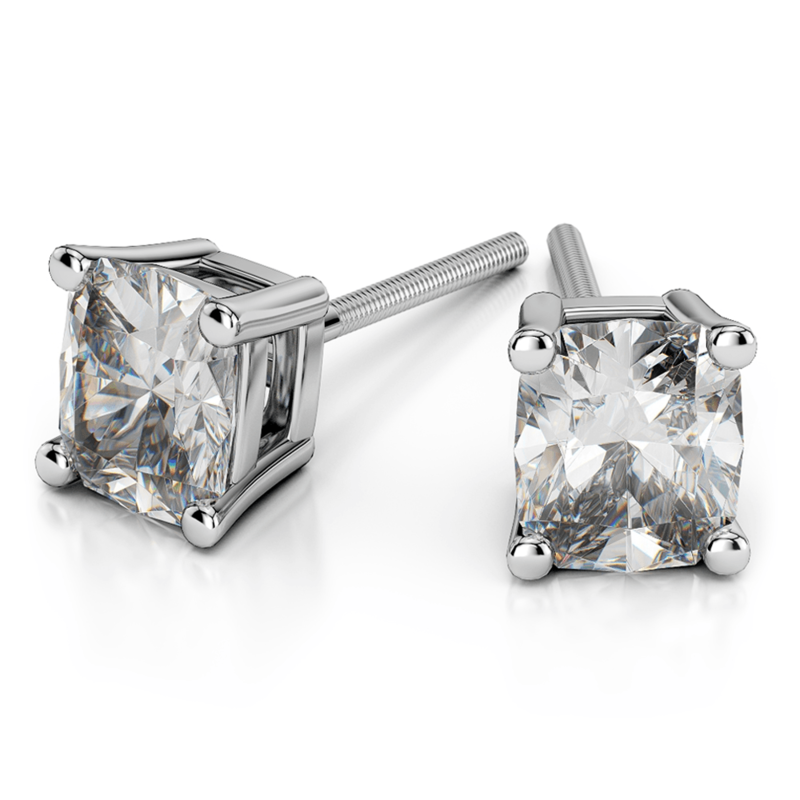 Diamond stud earrings are a classic look that makes for a thoughtful (and practical) gift. 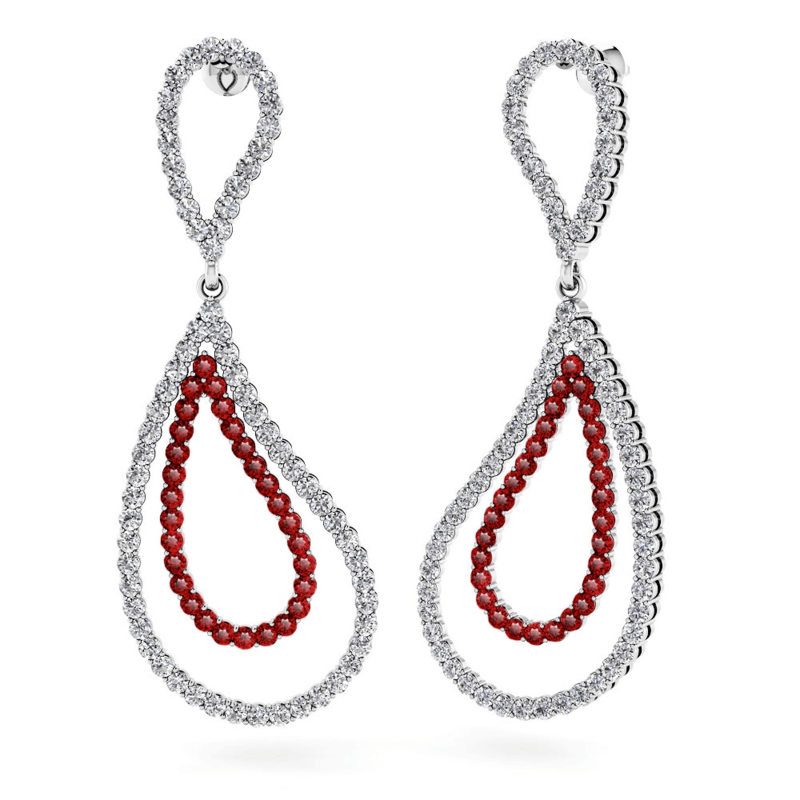 These earrings are beautiful, yet simple; they can pair with jeans and a t-shirt just as easily as an evening gown. Try a pair of round or princess for popular style, or opt for cushion cut diamonds for a striking vintage earring look she can wear every day of the year. Diamond studs are the safe choice, sure to make any woman happy. However, sometimes you need to take it up a notch. If you want a pair of vintage diamond earrings with a little extra pizazz, you may want to consider a pair of diamond hoops. A pair of earrings like these will catch the light whenever she wears them, lighting up her smile in the process. And just imagine her smile when she receives them on Christmas morning! Maybe you are looking to buy a gift for a truly glamorous woman. Simplicity is–well, to put it simply–not her style. 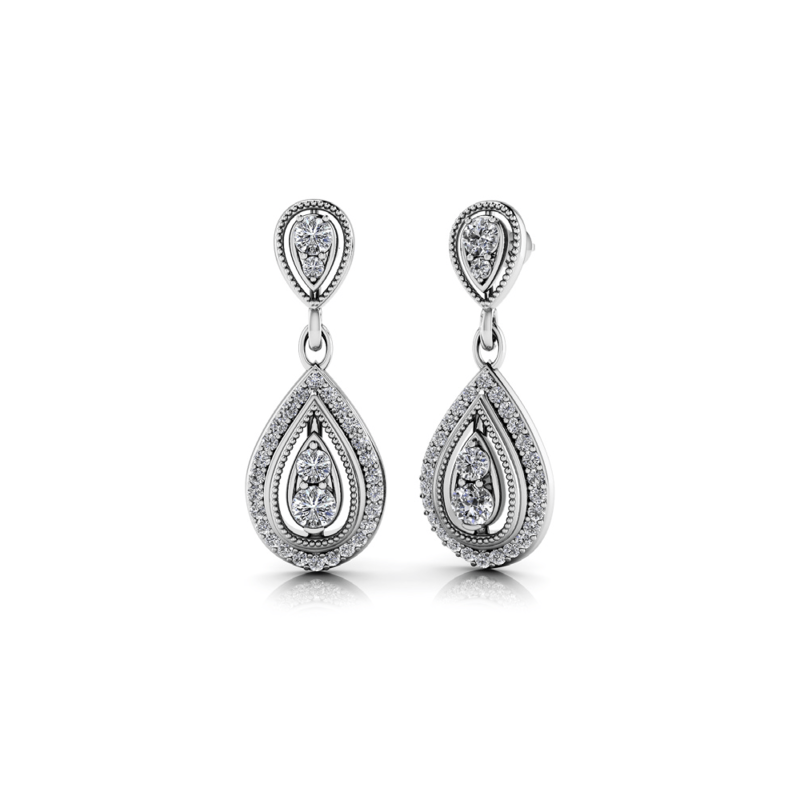 Why not sweep her off her feet with a pair of incredible, flashy dangling diamond earrings with a teardrop design. These, for example, feature a total of 56 gorgeous round cut diamonds, along with milgrain details for a vintage touch. Earrings like this are most at home in a formal event, but a woman would turn heads in these beauties anywhere. It’s the perfect gift for that woman who’s always the life of the party. Everyone knows that diamonds are beautiful, but sometimes a woman wants something a little different. Maybe she’s a fan of rubies. Maybe sapphires are more her style. We have earrings of all types that pair our diamonds with the highest-quality gemstones. This way, you can have the best of both worlds: beautiful, sparkling diamonds, and gemstones in rich, unforgettable color. Gemstone accents also create a vintage diamond earring design for the best of them, as gemstones accents were a huge trend in Art Deco pieces. 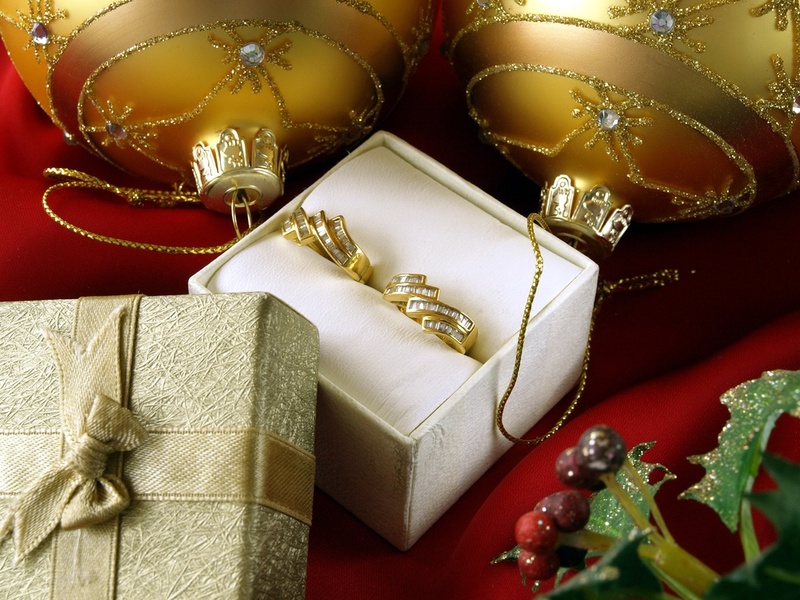 This holiday season, give her gift that’s special and one she can admire for years to come.